SAGA - 20/ 20 (CD) | Online Shop | Wizard LTD. 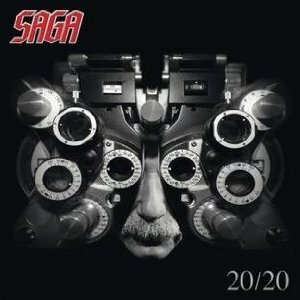 The title "20/20" first of all refers to the album being the 20th of SAGA, but in addition it’s a good luck wish to Jim Gilmour, who had to undergo an eye operation during SAGA’s latest European tour. 20/20 stands for the perfect eyesight. The album features ten brand new songs, never missing the distinctive sound of SAGA’s legendary hits. Michael Sadler reflects his return to the band: “One thing that we agreed on was that, if and when I ever were to return, it would have to feel like it was exactly the right thing to do and exactly the right time to do it!” And clearly, there has never been a better time than now!